My dad won a flying lesson through a silent auction at an event a couple months ago, and to my surprise, he offered it to me! (To be fair, he did offer it to my sisters too...I&apos;m just the one that wanted it!) 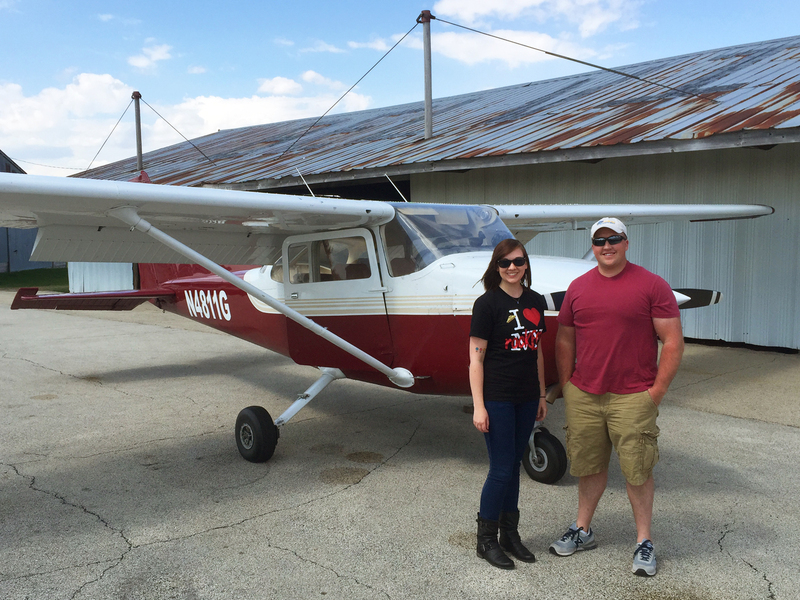 So last Wednesday, he and I took a trip to the Poplar Grove Airport to do some flying. Before getting in the air, the instructor, Jake, took us all around the plane and walked us through the usual inspection before taking off. I didn&apos;t know there was so much to check before flying! Making sure all the bolts look secure, checking the fuel level, testing to see if the flaps move ok...the whole nine yards. 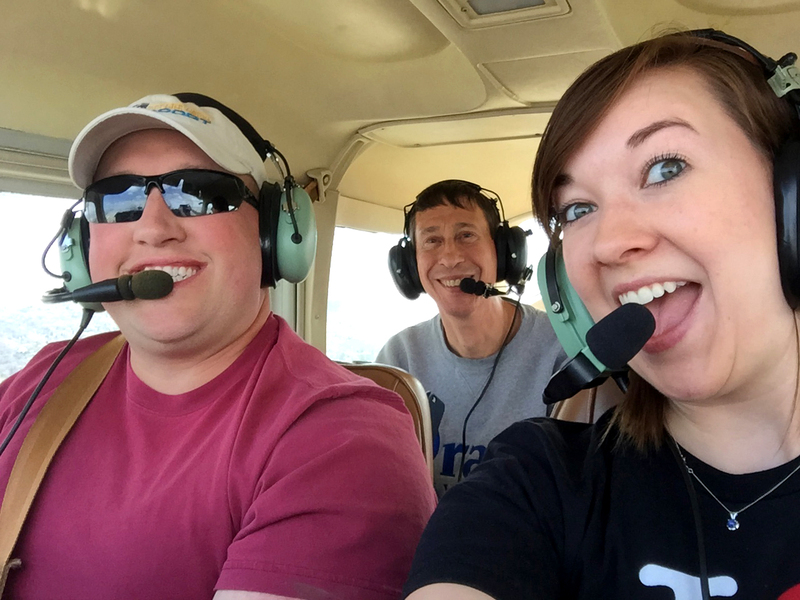 After the inspection, we climbed into the little Cessna 172 airplane and got ready to take off. 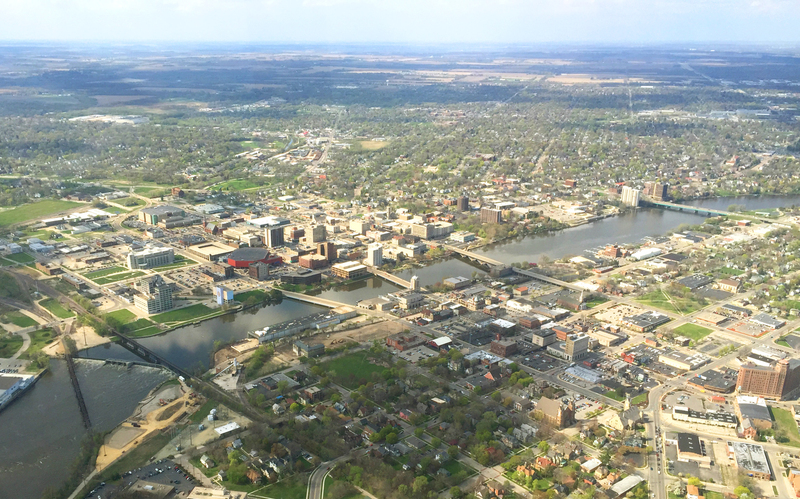 We knew before taking off that we wanted to head west and see downtown Rockford from the sky. It took a little while to get my bearings, but my dad pointed out 173, so that was a good reference point. We ended up flying over my parents&apos; neighborhood and saw their house, and just as we were about to fly toward downtown, Jake pointed out something. 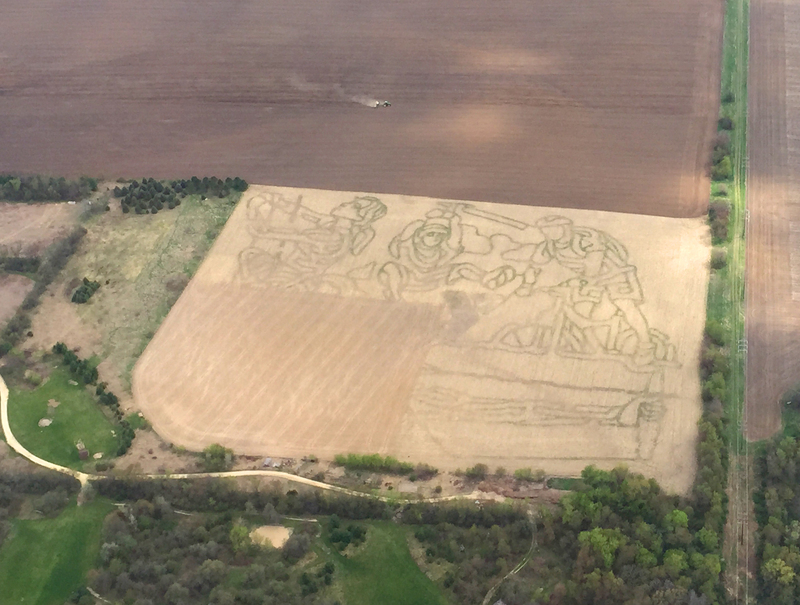 We look down and there is an elaborate design in one of the cornfields! (Leftovers from a fall corn maze.) It was weird to think about how people on the ground probably don&apos;t even realize it&apos;s there, and the only place to really appreciate it was right where we were in the air! I think the best part of the flight was being able to see downtown Rockford from the air. I know the whole experience was supposed to be a lesson for me in flying the plane, but I was so excited and distracted with the scenery, that the instructor did most of the flying. Overall, it was an incredible experience that I would recommend to anyone and everyone! Seeing Rockford from the sky makes for some breathtaking scenery and really gives you a new perspective on everything. State Street might have traffic sometimes and downtown might be busy, but from the air, the whole city looks so peaceful. If you have the opportunity to get a bird&apos;s-eye view of the city (plane, hot air balloon, jetpack...), you won&apos;t be disappointed with the view. 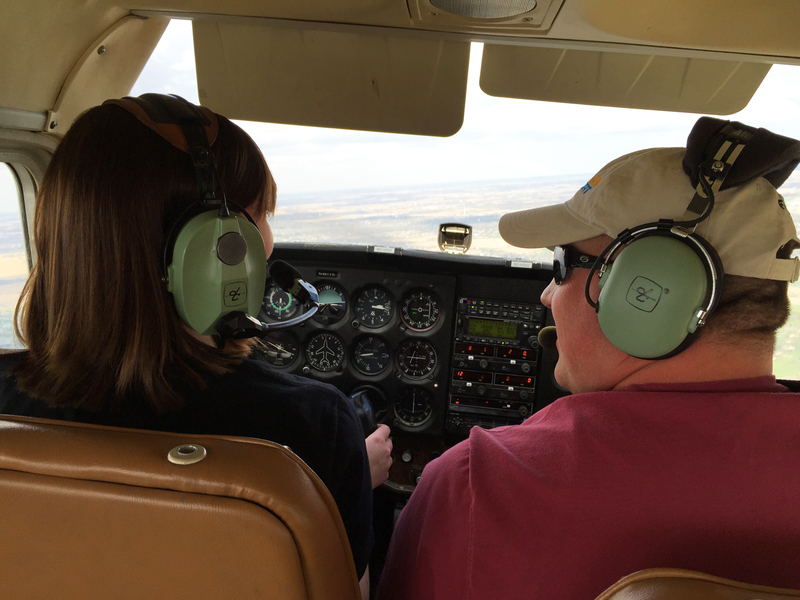 Or head over and talk to the nice folks at the Poplar Grove Airport and get a flying lesson of your own! There are so many great resources around the Rockford Region to start up your own adventure.